Evil Beagle Games is proud to be one of the many publishers who contributed 65 products worth about $400 to this special charity relief bundle to help those recovering from Hurricane Harvey. The bundle price is only $25! 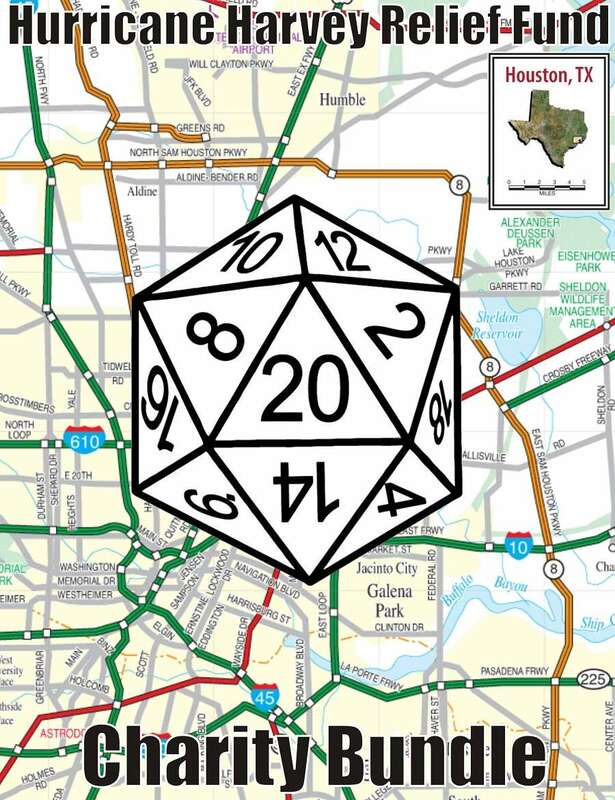 The list of other publishers includes Third Eye Games, Misfit Studios, Green Ronin, Fainting Goat Games, Kalos Comics, Rogue Genius Games, Make Believe Games, Ad Infinitum Adventures, Lakeside Games, Hydra Cooperative, and Battlefield Press. Hurricane Harvey, the most powerful hurricane to hit the continental US in a decade, has devastated the Texas Gulf Coast. In Houston alone, it has dropped over 2 feet of rain (and counting). FEMA estimates that 30,000 people may need shelter.